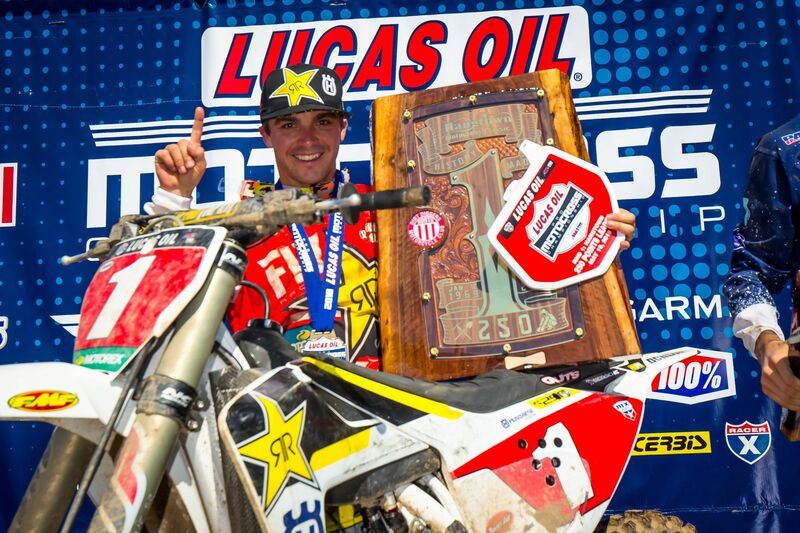 The 2018 AMA Pro Motocross Championship kicked off on Saturday at the Hangtown Motocross Classic in Sacramento, Calif. Rockstar Energy Husqvarna Factory Racing’s Zach Osborne claimed the first 250 overall victory of the season with a heroic showing aboard his Husqvarna FC 250. Teammate Jason Anderson started the season strong with a fourth overall in the 450 class, while 250 riders Michael Mosiman and team newcomer Jordan Bailey finished 13th and 19th, respectively. Zach Osborne was fifth at the start of the first 250 moto and immediately set his sights on the front. He made his way through the field, took the lead and claimed the first 250 win of the day. Michael Mosiman and rookie Jordan Bailey were mid-pack at the start and rode consistently to finish 15th and 19th, respectively. Jason Anderson got a good start in the top-five in the first 450 moto and rode smart and consistent to finish fourth aboard his Husqvarna FC 450 Rockstar Edition. Zach Osborne put in a heroic ride in the second 250 moto. He started in the top-10 then ran the field down and put in an amazing charge to take over the lead and win by over 4 seconds. His commanding ride gave him a 1-1 finish and the first 250 overall victory of the season. Michael Mosiman got a great start, ran well in the top-10, and would eventually finish 11th. The 15-11 finish gave him 13th overall on the day. Jordan Bailey suffered from a first-turn crash, but remounted and rode back to a 19th-place finish. He finished 19th overall. Jason Anderson got a good start in the second 450 moto and showed his skills in the front of the pack for awhile before eventually finishing sixth. The 4-6 finish gave him fourth overall on the day.